Gov. Tom Wolf said he could not remember a campaign pledge he made to join a regional effort to cap carbon emissions. PCN will take calls on a live show tonight for two guests who will answer questions about Gov. 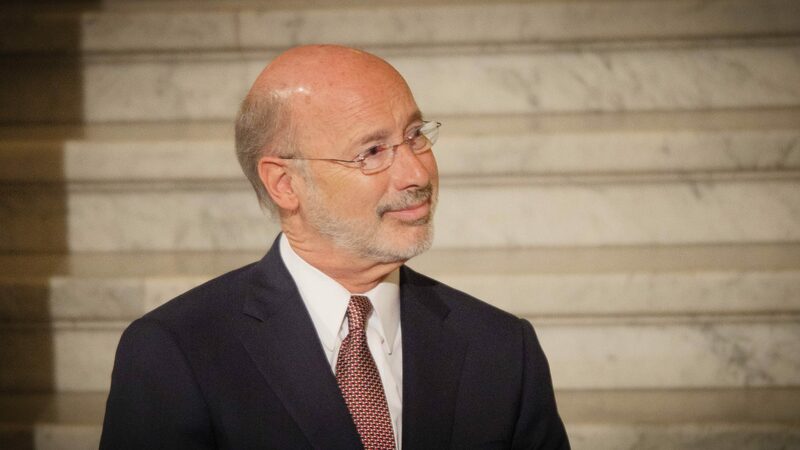 Wolf’s proposal for a severance tax on natural gas drilling. The program begins at 7 p.m. You can call 1-877-PA6-5001 or tweet @pcntv to ask a question. Guests are Kevin Sunday, director of government affairs for the PA Chamber of Business and Industry, and Larry Schweiger, president emeritus of PennFuture, an environmental advocacy group. In December, StateImpact Pennsylvania reporter Marie Cusick and WITF reporter Katie Meyer talked about how a severance tax could happen, but it likely would be different than what has been discussed in the past.